Advertising pages in the paper version of the HKMJ are available for advertisements of medical, scientific, or related products and classified ads. A range of other advertising opportunites is available, including loose inserts, envelope labels and overprinting, website ad banners, website classified ads, and sponsorship of/display ads in supplements. Advertising enquiries should be addressed to Publication Editor; email: hkampress@hkam.org.hk. 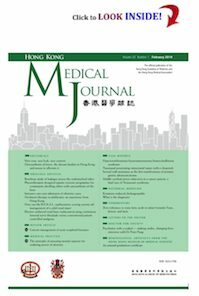 Advertising which appears in the HKMJ is not endorsed or guaranteed by the Hong Kong Academy of Medicine or the Hong Kong Medical Association. Claims made by the manufacturer are likewise not endorsed or guaranteed.